Love him or loathe him, the theological provocateur says it’s time to rethink the Bible. For Bell, there was something about standing up in front of a group of people and reading “an ancient text and then unleashing it in the space” that changed him. This was the experience Bell expected from digging into the Bible, though it was far different from what he saw growing up. But when he got into the Bible himself, he found what he was looking for. And 25 years later, he’s still captivated by that ancient text—though he has questions. 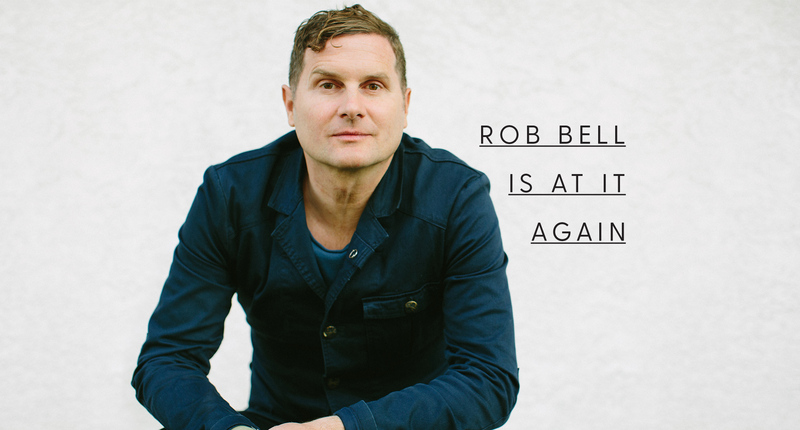 So, Rob Bell did what Rob Bell does: He processed his thoughts publicly. In this instance, his thoughts initially took the form of a “book” on Tumblr. He wrote a “chapter” a day, publishing each on the platform. Some 75 posts and 100,000 words later, Bell had his thoughts out. Now, those thoughts have been expanded and put into the form of a traditional paper-and-ink book call, What Is the Bible? : How an Ancient Library of Poems, Letters, and Stories Can Transform the Way You Think and Feel About Everything. We sat down with Bell to talk about the Bible—what it is and how it changes people. When we approach the Bible, what are we approaching? What is the Bible? I actually want people to come away with another question, which is the answer to the question: “What happened to you when we started talking about nonviolence? What happened to you when we looked at that story of loss and betrayal?” Because that’s the power of the Bible. I want to rescue it from static categories and defenses for it as some sort of intellectual thing that’s either right or wrong, and I want to reclaim it as people had experiences and they wrote some things down and when you engage with their experiences there’s always the chance you may find something of yourself in them—and that to me is divine. Why did you choose to approach a major project about the Bible? I don’t live in a religious area, and I noticed how often people found the Bible fascinating who had never read it. Because the Bible is in the cultural stream: David and Goliath, healing the blind man, I was blind but now I see, turn the other cheek. This stuff is just there in the cultural stream. What I noticed in L.A., living in an area that isn’t conventionally religious, was how often I would say, “Oh you know where that comes from? There’s this whole thing involving the Babylonians.” And my friends who have never been to church are the ones who are saying you should totally do this Bible stuff. It’s so interesting and dangerous and provocative and hopeful. We talk about the Bible being simultaneously divinely inspired and humanly written, and you wrestle with this human-divine tension. Can you talk about that? I’ve read books about the Bible that were sort of attempts to explain it, but they can’t say certain things because you realize the author might lose his or her job, so it ends up avoiding all the real questions everybody has. That’s why you start with the human stories because actual people wrote these stories down, and then people edited these stories together. They were old traditions, and they left out some content, and they included other content, which they tell you they’re doing. A lot of people who perhaps grew up with the Bible need to be told that it’s different [from other books], that it’s inspired, that it’s sacred. I would simply begin [by asking] about a section of the Bible that is sacred to you. Otherwise you’re just repeating things that other people told you. But the idea behind a sacred text is that in your interaction with it, you would be moved and the Spirit would speak on something to you, and you wouldn’t need to be convinced of its divine nature or origins. So what I’m interested in is people actually having an experience where those sorts of questions are no longer their pressing questions. You say you don’t like the category of inerrancy. Can you explain that? No one ever asks me if my marriage is working because those aren’t the categories. It’s a classic example where somebody somewhere in a lab must have been looking at data and was like, well, does this data have errors in it or is this research correct? And somehow they began to think about the Bible in those terms. It’s already missing the point because those aren’t the kinds of questions you would ask about a book that speaks to this level of the soul. It’s almost like history needs poetry and poetry needs history, and the moment you’re putting it in those categories you’ve already lost the plot. So I think so much damage has been done by people defending [their view of the Bible]. Once you begin to read [the Bible], if you’re reading the prophets where they’re talking about exchanging the poor for a pair of sandals, and what happens when you have a widening gap between the ruling wealthy elites and the poor masses who can’t feed their kids, and how this is an affront to what it means to be human, if at that point you’re like, “Well, is this inerrant?” You’re so asking the wrong question at the wrong time. You reflect on some of the oddities of the Old Testament—stories like Ehud’s murder. You say they’re more than just weird stories. So many people read what’s called the Old Testament or more accurately the Hebrew Scriptures and they’re like, why is there all this violence? One of the answers is because the editors of these stories want you to see the futility of violence. You don’t think to yourself, “Oh, obviously Quentin Tarantino thinks that the solution to every problem is violence. When you see a Quentin Tarantino film, in some ways you think he’s spoofing on the ridiculous notion that violence can solve things. So there’s this whole level of subtlety and nuance, and I would argue like the book of Judges, which is just Game of Thrones meets a David Cronenberg film, I would argue that’s the editor’s point. 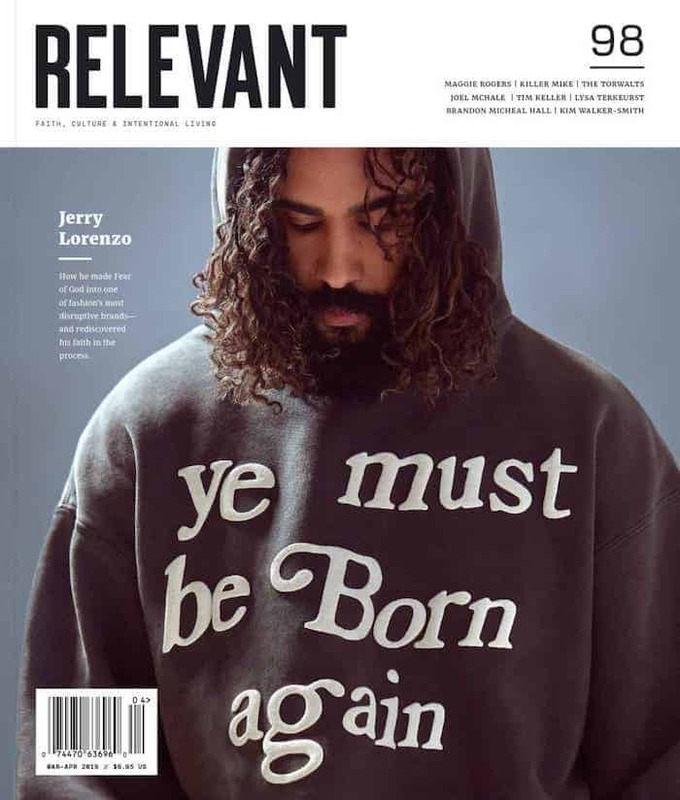 The editor is saying, “Have you noticed here that the violence isn’t working?” So you’ll have critics of the Bible saying they don’t believe in these ancient violent fairytales. Well, neither do the people who wrote it. That’s probably why they’re writing it. What does it mean for the Scriptures to have authority for Christians? The word authority is that which you give influence to. We have this extraordinary capacity to give influence and not give influence to things and people and voices. For many people when you say authority what they mean is some person told them this is how it is, and they unquestioningly went along with that. But if there is anything at the heart of the Scriptures, it’s growing up and growing in maturity to where you’re learning how to discern things yourself. That’s how I would start with that question: You’re living according to something. You’re giving somebody—teacher, mentor, Marc Maron, HBO, somebody somewhere— you’re giving them influence. And for most people it’s a grab bag of influences that are just sort of piecemealed together. The power of a lineage or a tradition is that it gives you a grounded center. And then, of course, a tradition that is capable of self-critique, a tradition that is capable of affirming the truth found in all other traditions—that is something that could actually help you. What do you do when you disagree with something in the Bible? I instantly want to know what’s going on just below the surface. So in first-century Galilean culture there was a patriarchal system that said this is how it is and any questioning of that system got you kicked out of the system. And you had a particular taxation system, and then a scribal system, that actually made people’s lives miserable. There was a whole social order that wasn’t working, it was actually oppressing people. And to refuse to participate in an oppressive system often put you at odds with your family of origin, so when Jesus says something like your mother, father, brother, sister, these were real pressing issues. Do I stay in an oppressive system or do I leave it? So, I think about it less in terms of do I agree or not agree, but I think about it in terms of curiosity. What does it look like for you personally to be a consumer of the Bible? I may get an idea and then … so the Gospel of Mark opens with Mark saying, “This is the good news of Jesus the Messiah, the Son of God.” And “son of God” was a Roman propaganda term. The czars were considered sons of God because they came from the Divine. They crushed everybody in the power of the gods. And “good news” was a Roman military propaganda term. Oh my word, Mark opens his Gospel with very political propaganda, but it’s about Jesus not the czars. So he’s essentially telling a counter-narrative. I might get on that and then just go down the rabbit hole. Well, what else is going on there? Or I might think the Psalms are fascinating. Somebody said half the Psalms are laments, half the Psalms are basically, “Where are you, God?” “Why do you hide Your face?” I might go, “Oh interesting, I should go through and make a list of all the lament.” Or see that a healthy spirituality is filled with denials of the divine. So that’s how it works. Something gets birthed and it raises a whole series of questions, and I go after the questions and gradually it all starts talking to each other. And a book, a podcast, a tour, something starts to come out of it. So to answer your question, there’s no rhyme or reason.